As Facebook’s big pivot to video continues, the company is partnering with two more production teams in order to wrestle up more original content for its Watch tab. Today, those combatants happen to be Machinima, which is launching a trio of new shows, and the WWE, which is planning a special 12-episode series available exclusively on Facebook Watch. Set to premier on January 16th at 10PM ET, Mixed Match Challenge will consist of a series of 20-minutes episodes documenting a single-elimination tag team tournament where the winners will take home $100,000 to a charity of their choosing. The big catch is that the tournament will be separate from the ongoing story lines and matches seen on Monday Night Raw and SmackDown Live. However, you should still see a lot of familiar faces, such as current SmackDown Women’s Champion Charlotte Flair, who will be teamed up with Natalya, and others including Rusev, Sami Zayn, and Shinsuke Nakamura. WWE is teasing that one member of tag team trio, The New Day, will also be on Mixed Match Challenge, but has not specified if it’s Big E, Kofi Kingston, or Xavier Woods yet. The push for more content on Watch is part of Facebook’s billion dollar investment into original programming, which already hosts content from Conde Nast, the Discovery Channel, National Geographic, and more, alongside other things like free weekly game broadcasts from MLB. 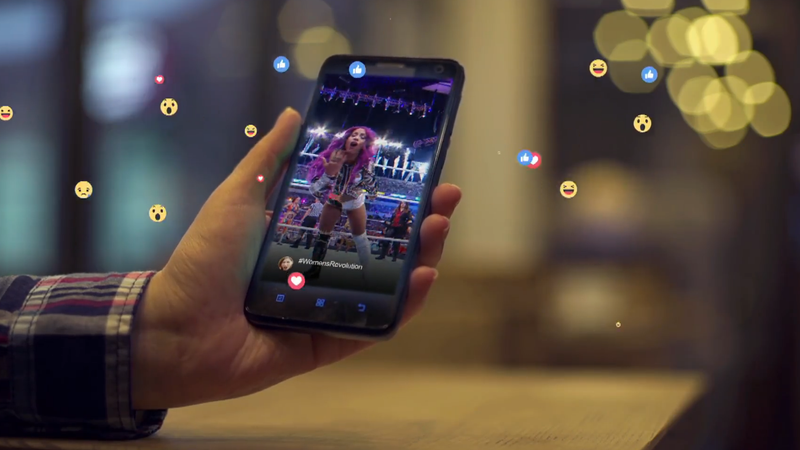 That said, the most popular content on Facebook Watch are still attention-thirsty viral videos, so Mixed Match Challenge might not have a lot of competition. Now, the real question now is if traditional wrestling fans will cross over to Watch to get their oiled-up, spandex-clad fix.